As evident with our most recent 40 Under 40 promotion, the younger generation of Las Vegas Real Estate Professionals are making amazing things happen in the local market. The drive and ambition of our YPN members is contagious. 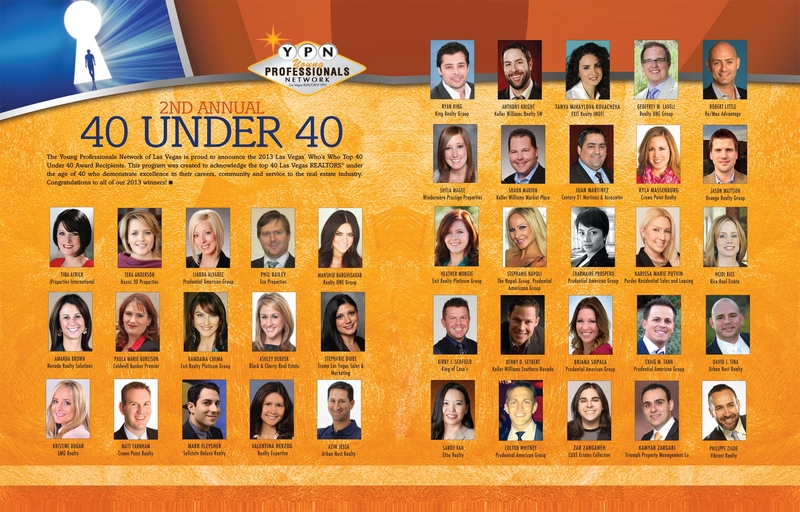 The networking opportunities and connection to other highly motivated Las Vegas Real Estate Professionals is the number one reason members give for participating in YPN. Whether it is social media innovation, success in short sales or finding creative ways to re-build relationships with past clients, our YPN members are at the top of their game. Best of all, we have a giver’s gain culture, where sharing and networking is encouraged.